Coconut oil has several benefits such as skin care, hair care, weight loss, treating yeast infections, improving digestion and immunity against a host of infections and diseases. The oil is used not just in tropical countries, where coconut plantations are abundant, but also in the US and the UK. People are discovering the wonders this oil can create and it is again gaining popularity throughout the world. Let us look at some of the known benefits of coconut oil. Skin care: Coconut oil is an excellent massage oil that acts as an effective moisturizer on all types of skin, including dry skin. Unlike mineral oil, there is no chance of having any adverse side effects on the skin from the application of coconut oil. Therefore, it is a safe solution for preventing dryness and flaking of skin. It also delays the appearance of wrinkles and sagging of skin, which normally accompany aging. It helps in preventing degenerative diseases like premature aging due to its well-known antioxidant properties. It also helps in treating various skin problems, including psoriasis, dermatitis, eczema and other skin infections. For that exact reason, coconut oil forms the base ingredient of various body care products like soaps, lotions, and creams that are used for skin care. Heart diseases: There is a misconception spread among many people that coconut oil is not good for heart health. This is because it contains a large quantity of saturated fats. In reality, it is quite beneficial for the heart. It contains about 50% lauric acid, which helps in actively preventing various heart problems like high cholesterol levels and high blood pressure. Coconut oil does not lead to increase in LDL levels, and it reduces the incidence of injury and damage to arteries, and therefore helps in preventing atherosclerosis. Study suggests that intake of coconut oil may help in maintaining healthy lipid profiles in pre-menopausal women. Weight loss: Coconut oil is very useful for weight loss. It contains short and medium-chain fatty acids that help in taking off excessive weight. Research suggests that coconut oil helps to reduce abdominal obesity in women. It is also easy to digest and it helps in healthy functioning of the thyroid and endocrine system. Further, it increases the body’s metabolic rate by removing stress on the pancreas, thereby burning more energy and helping obese and overweight people lose weight. Hence, people living in tropical coastal areas, who use coconut oil every day as their primary cooking oil, are normally not fat, obese or overweight. Several people focus on exercise to lose weight, from using indoor machines like leg press machines to outdoor exercises like running and playing sports. While this is a good approach to lose weight, including products like coconut oil enhances your weight loss efforts. Immunity: It strengthens the immune system because it contains antimicrobial lipids, lauric acid, capric acid and caprylic acid, which have antifungal, antibacterial and antiviral properties. The human body converts lauric acid into monolaurin, which research has supported as an effective way to deal with viruses and bacteria that cause diseases like herpes, influenza, cytomegalovirus, and even HIV. Coconut oil helps in fighting harmful bacteria like listeria monocytogenes and helicobacter pylori, and harmful protozoa such as giardia lamblia. Further, unlike other pharmaceutical treatments for candida, the effect of coconut oil is gradual and not drastic or sudden, which gives the patient an appropriate amount of time to get used to the withdrawal symptoms or Herxheimer Reactions (the name given to the symptoms accompanying body’s rejection of toxins generated during elimination of these fungi). But in the treatment of this condition, people should systematically and gradually increase their dosages of coconut oil and shouldn’t initially start with a large quantity. Keeping Organs Healthy: The presence of medium chain triglycerides and fatty acids in coconut oil helps in preventing liver diseases because those substances are easily converted into energy when they reach the liver, thus reducing the work load of the liver and also preventing accumulation of fat. It also helps in preventing kidney and gall bladder diseases and helps to dissolve kidney stones. Coconut oil is also believed to be useful in keeping pancreas healthy by treating pancreatitis. HIV and cancer: It is believed that coconut oil plays an instrumental role in reducing viral susceptibility for HIV and cancer patients. 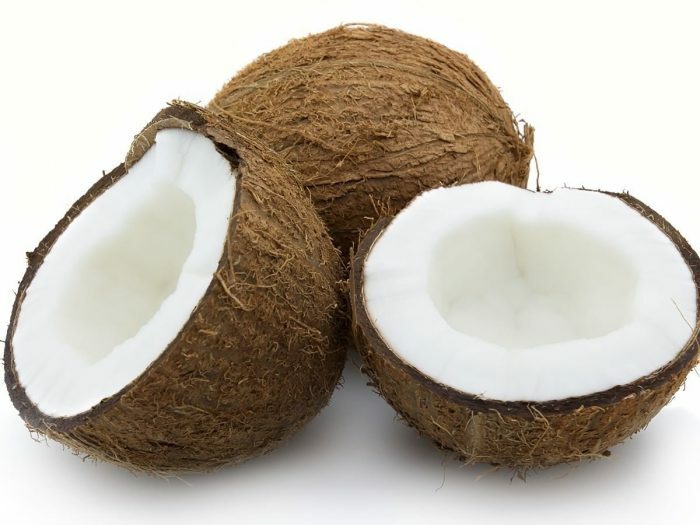 Preliminary research has shown an indication of this effect of coconut oil on reducing the viral load of HIV patients. Carrier oils are those oils, which easily penetrate or absorb into the skin and thus facilitate seepage or absorption of other oils (such as essential oils) and herbal extracts through the skin when mixed into it. It is easily absorbed through the skin’s pores and thus is used as carrier oil. Furthermore, being one of the most stable oils, it doesn’t go rancid, nor does it let the other oils, herbal extracts, or medicines spoil inside of it. It does not alter the properties of the oils and herbs mixed within it. It also protects the herbs and oils from microbial or fungal interactions. Coconut oil is expensive in several countries; however, in tropical countries its cost is low enough to make it affordable as carrier oil. In colder countries, coconut oil comes in good, broad containers. However, if you get it in a pack (tetra-pack or plastic pouch), after opening the pack, be sure to keep the oil in containers with tight lid and broad mouth so that you can scoop it out with a spoon if it solidifies. Keeping it sealed or lidded is necessary because there are other admirers of coconut oil too (ants, cockroaches, other insects and rodents just love it!). -Capric acid: It reacts with certain enzymes secreted by other bacteria, which subsequently convert it into a powerful antimicrobial agent, monocaprin. LOVED THIS ARTICLE!!! Very informative and well-written. Great work!